Antique Brass Vertical Decorative Wall Mount Mailbox. 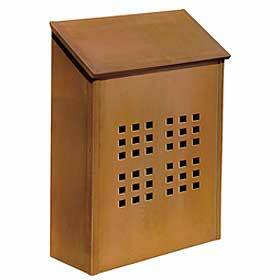 Our decorative antique brass wall mount mailbox features a window grid design and includes a privacy plate option to block visibility of the mail. A factory installed security kit is available - it includes two (2) keys.